A week of action to tackle drugs supply in Ipswich and Bury St Edmunds has seen 16 people arrested. Teams of Suffolk police officers and staff have been working on the operation to target those suspected of involvement in the supply of drugs and associated criminality 10 of the people arrested formed part of a wider region-wide operation conducted on Tuesday and Wednesday (22 and 23 January) by more than 200 officers from seven forces across the eastern region - Bedfordshire, Cambridgeshire, Essex, Hertfordshire, Kent, Norfolk and Suffolk, supported and co-ordinated by the Eastern Region Special Operations Unit (ERSOU). A further six people were also arrested during the week of activity. Two 27 year old women were arrested in Bury St Edmunds on suspicion of conspiracy to supply class A drugs. Both were released under investigation. A 45 year old man, a 22 year old man, a 26 year old female were all arrested on suspicion of supplying class A drugs and released under investigation. A 19 year old woman　was also arrested on suspicion of possession of cannabis and release under investigation pending further enquiries. The activity was part of a bid to clamp down on county drugs lines operating out of London into towns across Suffolk. County drugs lines is the term used to describe gangs, groups or drug networks that supply drugs from urban to suburban areas across the country, including market and coastal towns, using dedicated mobile phone lines or ‘deal lines’. The Suffolk operation under 'Velocity' worked in tandem with　the national intensification week against county lines, to tackle drug related crime. Suffolk will continue with the co-ordinated enforcement activity across the three district areas and support the vulnerable and young people who are exploited and harmed. T/Detective Chief Superintendent Steve Mattin who oversaw the Suffolk arrests said: "We have arrested 16 people last week as a result of work that has been carried out to identify those believed to be involved in the supply of drugs. Many of those arrested have been remanded in custody pending further court hearings, while others will appear at court over the next few weeks. There are significant seizures of cash and drugs that cannot be quantified at this time and our enquiries to establish exact number continue. "I would like to thank all those who have been involved in making a hostile environment for criminals to operate in. "However, this is not going to be solved by police alone. We continue to work with partner agencies to safeguard young people and prevent addiction and reduce demand. Only by working together will we be able to tackle the root causes and the long-term effects of drug supply and crime on both individuals and communities." Suffolk Police and Crime Commissioner Tim Passmore said: "This is excellent work by the Constabulary, well done to everyone involved. "County Lines is the biggest threat facing Suffolk at present without question. This problem is not going to be won by police activity and enforcement alone and I’ll continue to do everything I can, working with partner agencies across the county, to get rid of this blight in our society. "These lines must be completely dismantled and the perpetrators put behind bars for a very long time. I hope these arrests send out an unequivocal message to those involved in county lines that if they ply their disgusting trade in Suffolk, we’re waiting for you and will make your lives absolute hell." Police have arrested 10 people in Suffolk in connection with drug offences. The arrests formed part of a wider region-wide operation conducted on Tuesday and Wednesday (22 and 23 January) by more than 200 officers from seven forces across the eastern region - Bedfordshire, Cambridgeshire, Essex, Hertfordshire, Kent, Norfolk and Suffolk, supported and co-ordinated by the Eastern Region Special Operations Unit (ERSOU). In total, 23 properties were searched resulting in 61 arrests. A 20 year old man, a 22 year old man and 18 year old man all from Essex were all arrested in Ipswich on Tuesday 22 January on suspicion of possession with intent to supply class A drugs and possession of a knife. All three were taken to Martlesham Police investigation Centre for questioning. 20 year old Mohamed Abdullahi of Ilford Lane in Ilford was charged with four counts of possession of a class A drug with intent to supply. 18 year old Michael Martin of Blacksmith Close in Romford was charged with four counts of possession of a class A drug with intent to supply. 22 year old Rhyone Hinkson of Mansfield Road in Ilford was charged with four counts of possession of a class A drug with intent to supply. They were remanded to appear before Ipswich Magistrates court on Thursday 23 January to appear again before Ipswich Crown Court on 20 February 2019. A 22 year old was arrested in Ipswich on 23 January on suspicion of drug offences. Armahn Hibbert of Pretoria Avenue in London was charged with possession of cannabis and released on bail to appear before Ipswich Magistrates Court on 11 February. A 21 year old was also arrested in Ipswich on 23 January. Aaron Dorset-Youngs of Hornsey Road in London was subsequently charged with two counts of possession with intent to supply class A drugs. He was due to appear before Ipswich Magistrates Court this morning (Thur 23 Feb). A 48 year old man was arrested in Ipswich yesterday (23 January) on suspicion of possession of class A drugs following a search warrant. He was taken to Martlesham Police Investigation Centre for questioning and subsequently released under investigation. A 23 year old man was arrested in Ipswich yesterday on suspicion of being concerned in the supply of class A drugs. He was taken to Martlesham Police Investigation Centre for questioning where he remains. A 30 year old man was arrested yesterday on suspicion of being concerned in supplying a controlled drug. He was taken to Martlesham Police Investigation Centre for questioning and released under investigation pending further enquiries. Elsewhere, a 50 year old man and 24 year old man both from Bury St Edmunds were arrested on suspicion of possession with intent to supply class A drugs. Both were taken to Bury St Edmunds Police investigation Centre for questioning and subsequently released under investigation, pending further enquiries. Across the region more than 1,000 wraps of Class A drugs were seized along with amounts of cannabis, a number of knives and imitation firearms, and approximately £20,000 in cash. The operation, which was also supported by the National Crime Agency and the Metropolitan Police, was part of a bid to clamp down on county drugs lines operating out of London into towns across the eastern region. Temporary Assistant Chief Constable for ERSOU, Simon Parkes, said: "County drugs lines have a significant impact on towns across the eastern region and drive a wide range of criminality. This is why we’re working together as police forces and a regional organised crime unit, alongside the National Crime Agency, to disrupt those who run and profit from them and to safeguard those affected. "We’re really pleased with the results of this co-ordinated response to an issue which causes serious harm to our communities; this has been the product of months of hard work by officers. We have targeted those controlling county lines due to the links with the exploitation of vulnerable people, the pedalling of dangerous and illicit substances, and associated violence. Police made eight arrests in connection with a week of action in Bury St Edmunds to tackle class A drug dealing. The arrests were made as part of the force’s on going operational work to tackle illegal drug activity under the countywide banner of Operation Velocity. In addition, in terms of drugs seized it is estimated that about £6,000 worth of drugs were recovered in the week of action as well as around £2,000 worth of cash seized. In the operation conducted last week (w/c Monday 10 Dec) three people were arrested on suspicion of possession of crack cocaine, two arrests were made on suspicion of crack cocaine or heroin with intent to supply, one for possession of cannabis, one arrest for being concerned in the supply of class a drugs and one arrest for shoplifting. From the arrests 24 year old Harry McLaughlin of Springfield Road in Bury St Edmunds was charged with possession of cocaine and released on bail to appear before Ipswich Magistrates' Court on 28 December. An 18 year old male was arrested on suspicion with intent to supply class A drugs, suspicion of possession of cannabis, suspicion of possession of a knife and suspicion of money laundering. He was released under investigation pending further enquiries. A 19 year old was arrested on suspicion of possession with intent to supply class A drugs, taken to Bury St Edmunds Police Investigation Centre for questioning and subsequently released under investigation. A 32 year old man was arrested on suspicion of being concerned in supplying drug in Bury St Edmunds after a warrant was executed at a property in the town and a same amount of class A and B drugs were seized, along with cash, scales and mobile phones. He was release under investigation pending further investigation. A 28 year old man was arrested on suspicion of possession of cannabis and given a cannabis warning as a consequence. Elsewhere, no further action was taken against a 44 year old woman from Bury arrested on suspicion of class A drugs, while a 27 year old woman was cautioned in connection with the same offence after a stop/search was conducted on the pair. Elsewhere, a 53 year old man from Stowmarket was arrested on suspicion of shoplifting and released under investigation. Act. Sgt Charles Birrell, who led the week of activity in Bury St Edmunds said: "These arrests, disruption and seizures are all about us responding pro-actively to offences linked to illegal drugs activity in the town. This activity clearly demonstrates that our officers are working hard to make an impact. "The force wants to ensure the county remains a hostile environment for those involved in the supply of drugs and provide reassurance to Suffolk residents and we will continue to focus our energies on disrupting drug production and supply activity. "Communities can play their part by telling us about any suspicious activity – it may be anti-social behaviour, strange comings and goings at a particular property - your information may be the vital part of the jigsaw that helps us take the proactive action to disrupt and deal with individuals who are responsible. You don’t have to be certain, just concerned. If you know of suspicious activity taking place in your area let police know using the 101 number and officers will respond, or call Crimestoppers anonymously on 0800 555111. The regional organised crime unit, which is part of the Eastern Region Special Operations Unit (ERSOU), is tasked with managing the threat posed from crime types such as firearms supply, county drugs lines, child sexual exploitation, cybercrime and modern day slavery. In 2018, officers from the unit arrested 438 people, secured jail sentences of almost 500 years, recovered 63 firearms, and seized 90 kilograms of Class A drugs and 23 kilograms of cannabis. Almost £5 million has also been confiscated by the unit from convicted criminals under the Proceeds of Crime Act, and 27 account freezing orders have been secured using new legislation introduced this year. Officers use a range of specialist tactics and work closely alongside police forces and partner agencies to disrupt dangerous offenders operating across Bedfordshire, Cambridgeshire, Hertfordshire, Norfolk, Suffolk, Essex and Kent. Hannah Wilkinson, head of the regional organised crime unit, said: “It’s been a really successful year for ERSOU as we continue to grow and expand our capabilities. “Thanks for the hard work of our officers and partner agencies, a large number of prolific criminals will be spending Christmas behind bars and we’ve taken a significant quantities of drugs and illegal firearms off the streets. Five people have been arrested over the weekend in connection with supply of class A drugs in Stowmarket. A drugs warrant was conducted on Saturday morning 24 November 2018 at a property on Lydgate Road in the town following intelligence received that the location was being used for drug dealing. Four people were arrested at the property. They were a 19 year old male arrested on suspicion of supplying drugs, a 40 year old male arrested on suspicion of conspiracy to supply drugs, a 28 year old male arrested on suspicion of supplying drugs and a 32 year old woman arrested on suspicion of possession of class B or C drugs. All four individuals were taken to Bury St Edmunds Police Investigation Centre for questioning. During the search a large amount of cash was recovered from the property. The three males arrested were all released under investigation pending further enquiries. The 32 year old woman remains in detention. A fifth arrest took place on Friday 23 November in Stowmarket on Onehouse Road. A 28 year old woman was searched by police following further intelligence received and found to be in possession of a small quantity of drugs in a small shoulder bag. She was taken to Bury St Edmunds Police investigation Centre for questioning. Sophie Dragon of Mallard Way in Stowmarket was subsequently charged late evening on 23 November with possession of class B drugs and is due to appear before Ipswich magistrates court on Monday 4 December at 1.40pm. Inspector Shawn Wakeling of Stowmarket SNT said: "This police activity came as a result of residents in the area reporting suspicious activity. These arrests are a clear demonstration that we will take action against reports of suspected drug dealing in the town. With support from the public who provide us with intelligence about suspect activity in their communities, we will continue to disrupt drug production and supply activity. Suffolk Constabulary has taken part in a national week of action against the on-going threat of County Lines. County lines is a term used to describe gangs and organised criminal networks involved in exporting illegal drugs within the UK. The gang establishes a drug market in a rural town, with origins to an urban city location with mobile phones frequently used to facilitate the drug deals. They are likely to exploit children and vulnerable adults to move and store the drugs and money and they will often use coercion, intimidation, violence and weapons. During the week, Suffolk Constabulary along with other forces conducted arrests and warrants, organising dedicated patrols, gathering intelligence across the county to ensure that the force continues to make Suffolk a hostile environment for criminals to operate in. As part of the week of action officers made 19 arrests. These include nine arrests in connection with offences relating to possession of drugs with intent to supply, four arrests of possession of a firearm with intent and two arrests of possession of an offensive weapon. Supt. Kerry Cutler said: "This week of action has demonstrated how determined we are to root out the scourge of drugs from our communities. "During 2017 and 2018 (upto end of June) the force made 933 arrests in relation to the supply of controlled drugs. In 2018, 141 of these were in relation to possession with intent to supply class A drugs. "In essence, although this week saw more dedicated activity, it is important to recognise that that our work to address the issue of ‘county lines’ and drug supply is something we tackle all year round. "We have seen positive results under the Velocity banner in recent months but arrests are only one small part of the work we do. Our Youth Gang Prevention Team have been working closely with partners to prevent young people becoming involved in gangs. Over the summer period (June to September) the team have undertaken 31 visits to schools, 132 engagements visits to young people (where they and families are signposted to places for help) and made 31 safeguarding referrals. "Elsewhere, last month three men were jailed for a combined total of just over 30 years for their involvement in the supply of Class A drugs in Ipswich, while in August three other men were sentenced to over 11 years in jail for class A drug offences – in both cases the offenders had strong links to London. 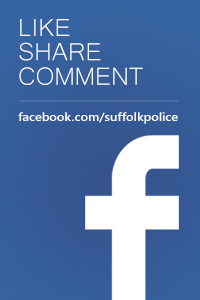 "Suffolk Police is taking this threat extremely serious and is to be congratulated on their successful prosecutions to date, however this epidemic cannot be dealt with by policing alone, we need a multi-agency approach. "Council leaders across the county and I are united in our ambition to protect our young people from getting dragged into this dreadful existence. We have agreed the problem needs to be tackled county-wide to prevent drug activity simply being pushed out of Ipswich and into other parts of Suffolk. He added: "As part of our commitment to prevent our youngsters becoming involved in this awful crime we are totally committed to working with and funding the voluntary sector right across Suffolk with activities for them. Information can help police remove drugs and violence from our communities. If you know of suspicious activity taking place in your locality please let us know using the 101 number and we will respond, or call Crimestoppers anonymously on 0800 555111. A 22 year old man has been jailed for drug offences in Ipswich. Sheldon William-Beaumont of Gordon Road in London was found guilty by a jury (Thu 4 October) at Ipswich Crown Court after a three day trial for possession with intent to supply crack cocaine and heroin and money laundering. He was sentenced to 30 months in prison. It follows an in incident on February 16 2018 in Alexandra Park in Ipswich where officers had reason to search William-Beaumont . When they approached him he fled the scene but was detained shortly afterwards. He had in his possession, when he was searched, five £10 wraps of crack cocaine and £107 cash. He was arrested of possession with intent to supply and taken to Marltesham Police Investigation Centre for questioning and subsequently charged later the same day. Sgt. Murray Osman said: "This was another great result by the Youth Gang Prevention Unit as look to get the scourge of drugs off our streets. William-Beaumont was an operator who has links to drug gangs from London and someone who was determined to sell on the streets of Ipswich bringing misery to resident and vulnerable people - his not guilty plea at the outset of the trial demonstrates his lack of remorse for what he was doing. The supply and dealing of illegal drugs will not be tolerated and residents can be reassured that any information passed to police will be acted on. "If you suspect drug dealing is taking place or you are concerned that a young person or vulnerable adult may have been targeted by an organised crime group, please tell us. You don’t have to be certain, just concerned. Three men have been jailed for a combined total of just over 30 years for their involvement in the supply of Class A drugs, which was uncovered by detectives investigating the murder of Dean Stansby in Ipswich last year. Amiadul Islam, aged 25; Yusuf Ahmed, aged 26; and Aidid Mohamed, aged 28; had all previously pleaded guilty to two counts of conspiracy to supply Class A drugs (heroin and cocaine), between November 2016 and July 2017. Ahmed also admitted possession with intent to supply cocaine and crack cocaine in November 2017. Amiadul Islam was sentenced to life imprisonment last month after being found guilty of the murder of Dean Stansby, along with three other men. He was set a minimum term of 18 years for the murder and his sentence for the drugs conspiracy will run concurrently to that. The other three men convicted of the murder of Dean Stansby: Tecwyn Parker, Daniel Kaganda and Jason Ruby; were all previously sentenced for two counts each of supplying Class A drugs (heroin and cocaine). Parker and Kaganda admitted their part in the drugs conspiracy and were sentenced to four years’ imprisonment and eight years’ imprisonment respectively. Jason Ruby denied his involvement, but was found guilty and given a four year sentence. All of these sentences will run concurrently with the life sentences they were handed for the murder convictions. During the extensive investigation that followed the fatal stabbing of Dean Stansby in February 2017, police also uncovered a wider conspiracy by an operation known as ‘AJ and Sky’ to supply drugs into Ipswich and Felixstowe, dating back to November 2016. Through police analysis of his mobile phone, it was discovered that Mr Stansby – who was from Trimley St Mary - had been in contact with AJ and Sky on the day he was murdered and had come into Ipswich to purchase illegal drugs from one of their dealers. Officers then began the exhaustive process of cross-referencing the mobile phone numbers he had been in contact with, and in turn what numbers those phones had been in contact with. Mr Stansby had called AJ and Sky’s ‘business’ number which they used to communicate with people that wanted to buy drugs from them. AJ and Sky would then use a ‘controlling’ number to contact one of their dealers in the area and direct them to make the exchange. Through mobile phone mast analysis, both these phones were traced to east London and the area around Amiadul Islam’s home address. Islam, along with Yusuf Ahmed and Aidid Mohamed, were discovered to be key players in the AJ and Sky operation. From their homes in London they would direct and coordinate the distribution of drugs out of the capital and into Suffolk. They would use ‘drug runners’, such as Daniel Kaganda, to transport the drugs out of London and into Ipswich. Local drug users were then hired to go out and undertake the on street dealing, which was the role performed by Tecwyn Parker and Jason Ruby. The court heard how efficiently run the AJ and Sky operation was, and that despite the many enforcement raids and significant drug seizures, the business would resuscitate itself. Over a period of between six to eight months, drug runners made between 35 and 40 trips to Suffolk to replenish stocks at ‘trap houses’. His Honour Judge Levett was satisfied that AJ and Sky had all the hallmarks of organised crime and said that the harm it caused was devastating with severe effects, destroying families and leaving users in a desperate state. It was calculated that the financial revenue generated by the business was between £250,000 and £500,000, representing five kilograms of Class A drugs. A Proceeds of Crime Act hearing has been set for Friday 14 December. Detective Chief Inspector Caroline Millar, the Senior Investigating Officer, said: "The sentencing of Amiadul Islam, Yusuf Ahmed and Aidid Mohamed, brings to a conclusion what has been an incredibly complex and lengthy investigation. "As we began to unravel the circumstances which had led to the death of Dean Stansby and identify the persons responsible for his murder, we simultaneously uncovered the wider drugs conspiracy and found that the four men responsible for the murder were, along with Ahmed and Mohamed, also heavily involved in the supply of Class A drugs in Suffolk. "Islam, Ahmed and Mohamed were very much at the controlling end of the ‘AJ and Sky’ operation, facilitating the supply of drugs into our county from London. They would take the calls from drug users and then direct orders out via their supply chain to distribute the drugs and make the sales. "This method of dealing, known as ‘County Lines’, is a significant problem across the country affecting numerous towns and cities. Suffolk Police will continue to robustly tackle this issue, to identify the people involved and remove the drugs and often associated weapons from our streets. Police in Suffolk have arrested over 150 people in connection with the supply of class A drugs across the county since the start of 2018. Under the banner of Velocity the force last year brought the three area operations under the one ‘umbrella’ to ensure an increase co-ordination of enforcement activity across the three areas. Between January and end of July, a total of 55 arrests were made in the Ipswich area for class A drug offences with 33 arrests made for being concerned in the supply of class A drugs, while another 17 were made for possession with intent to supply class A drugs. Among the seizures conducted over the past few months a significant amount of knives and other weapons including knuckledusters, lock knives and a cosh were also recovered across the county. In one raid in the east of the county approximately 170g of cocaine with a street value of £26,000 and £5,000 in cash was recovered. County Policing Commander Chief Supt. Tonya Antonis said: "These arrests, disruption and seizures are all about us responding to offences linked to illegal drugs activity in the county. "We want to make Suffolk a hostile environment for those who think they can come into our county and deal drugs, and anyone caught breaking the law will be dealt with robustly. These figures clearly demonstrate that our officers and staff are working hard to make an impact. However, we can’t merely ‘arrest our way out’ of the situation - more long term work is continuing with our partners to develop our response further, focusing on prevention and vulnerability. "Policing alone will not solve the issue of drug addiction and we need to ensure everyone is playing their part to protect the community from drugs. "The enforcement that the police carry out is only one tactical option that deals with the immediate issues. Police and Crime Commissioner Tim Passmore said: "The drug issue is the biggest threat facing Suffolk at the moment, without question. "I completely support the Constabulary’s stance in responding to offences linked to the illegal drugs trade, which I find totally evil and despicable. "However this problem is not going to be solved by police activity and enforcement alone – we must all take responsibility. I will do all I can to work with the Chief Constable and other public sectors leaders, public health teams, and education leaders to prioritise the problem in order to crackdown on further crime and prevent more youngsters becoming embroiled. This can only be successful if we take a collaborative approach – which includes pooling our financial resources. Information can help the police remove drugs and violence from communities. If you know of suspicious activity taking place in your locality please let us know using the 101 number and police will respond, or call Crimestoppers anonymously on 0800 555111. Three people arrested in connection with drug offences in Ipswich yesterday (Thursday 30 August) were sentenced to over 11 years in jail. Daniel Sang at an earlier hearing was found guilty by a jury of possession of a quantity of Class A drugs following a trial while 29 year old Miles Barrett of no fixed abode pleaded guilty to possession of a quantity of Class A drugs. At a separate hearing earlier 22 year old Darrale Sang of Fir Tree Gardens of Croydon pleaded guilty to possession of a quantity of Class A drugs. Officers conducted a welfare check on a vulnerable person in January this year on St Helen’s Street and on entering the property found three males with the woman. The property was searched under the misuse of drug act and officers recovered a quantity of class A in wraps hidden in shoes in a bedroom in the property. Officers also recovered around £700 in cash and two mobile phones. The trio were all arrested on suspicion of supplying class A drugs and taken to Marltesham Police Investigation Centre for questioning and all three were subsequently charged. Southern Policing Commander Supt Kerry Cutler said: "This result came about as a consequence of some great work by the Youth Gangs Prevention Team – our dedicated team that we set up last year whose primary purpose is to focus on prevention and early intervention of children and young people associated with gangs or violence, much of which is also drug related. 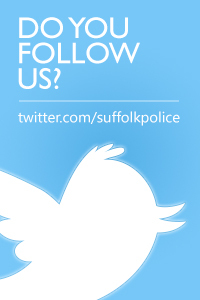 More information and advice about drug culture and gangs can be found on the Suffolk Constabulary website. Police have arrested a man in Lowestoft in connection with a drug offence. The 21 year old man was arrested on suspicion of possession of class A drugs on Monday (13 August) evening following reports of suspicious activity in the area of Whitton Green. He was taken to Great Yarmouth Police Investigation Centre for questioning and released under investigation pending further enquiries. In an unconnected incident on London Road South on the same day (13 August) a 35 year old man was arrested on suspicion of possession of class A drugs with intent to supply cocaine and cannabis, taking a motor vehicle without the owner’s consent and driving with no insurance or license. He was taken to Great Yarmouth PIC and released under investigation pending further enquiries. Inspector Liz Casey from Lowestoft police said: "This activity is all about us responding to offences linked to illegal drug activity as part of our on-going work with Operation Velocity . A 24 year old man has been arrested and charged in connection with drug offences following a routine patrol in Ipswich. At about 8pm last night (Tuesday 7 August) made an arrest of a man following a suspected a drug deal taking place near to the skate park on Stoke Bridge. He was found to be in possession of 15 wraps of class A cocaine as well as possession of around £500 in cash, as well as herbal cannabis and two mobile phones. He was taken to Marltlesham Police Investigation Centre for questioning. 24 year old Samil Abubaker of Mary Datchelor Close in London was charged with possession of class A drugs with intent to supply, possession of cannabis and possession of criminal property, namely a quantity of cash. He appeared before Ipswich Magistrates Court today (Wed 8 August) where he admitted the offences and was remanded to await sentencing at a date to be fixed at Ipswich Crown Court. Three more people arrested in connection with drug offences in Ipswich have all been convicted. At Ipswich Crown Court on Friday (27 July) 29 year old Daniel Sang of Burtwell Lane in London was found guilty by a jury of possession of a quantity of Class A drugs following a trial. Earlier last week at the same court hearing, 29 year old Miles Barrett of no fixed abode pleaded guilty to possession of a quantity of Class A drugs. At a separate hearing earlier this year 22 year old Darrale Sang of Fir Tree Gardens of Croydon pleaded guilty to possession of a quantity of Class A drugs after a quantity of drugs were found in the right pocket of a black hooded top. All three have been remanded and will be sentenced at a date to be fixed. Southern Policing Commander Supt Kerry Cutler said: "This was another great result for the Youth Gangs Prevention Team – our dedicated team that we set up last year whose primary purpose is to focus on prevention and early intervention of children and young people associated with gangs or violence, much of which is also drug related. Two people have been charged with drug offences following their arrest in Ipswich. It follows a drugs warrant that was carried out at a property on Nansen Road yesterday morning (Friday 29 June) where two arrests were made. A 25 year old man and a 17 year old teenager were both arrested and taken to Marltesham Police Investigation Centre for questioning. 25 year old Abbas Uddin of Nansen Road in Ipswich was later charged with conspiracy to supply class A drugs between 15 September 2017 and 29 June 2018. A 17 year old male from Ipswich was also charged with conspiracy to supply class A drugs between 15 September 2017 and 29 June 2018. They both appeared before Ipswich Magistrates Court this morning where they were remanded for a for further hearing at Ipswich Crown Court on Monday (2 July) morning. More than 50 wraps of Class A drugs were seized and two people were arrested in Haverhill yesterday, Wednesday 27 June. Officers from the Haverhill Neighbourhood Response Team carried out a warrant under Section 23 of the Misuse of Drugs Act and discovered suspected Class A drugs, an amount of cash and a number of mobile phones, among other items, in a property in the vicinity of Chalkstone Way as part of Operation Velocity. A 30-year-old woman and a 36-year-old man, both from Haverhill, were arrested on suspicion of possession with intent to supply Class A drugs and for money laundering. The man and the woman were taken to Bury St Edmunds Police Investigation Centre for questioning and were later released under investigation pending further enquiries. Velocity is the operational name given to the co-ordinated enforcement activity across the three policing areas in Suffolk to identify and arrest drug dealers and support the vulnerable/young people who are exploited and harmed by drug supply and dealing. A 24 year old man from Surrey has been jailed for three and half years for supplying class A drugs. Kashief Laidley of Oakfield Road in Croydon pleaded guilty at Ipswich Crown Court on Friday (21 June) to being concerned in the supply of class A drugs namely crack cocaine and heroin. Two other people, 26 year old Simon Byamukama of Parchmore Road in Thornton Heath pleaded guilty to being concerned in the supplying of a quantity of heroin and cocaine. Byamukama was not sentenced as he failed to appear before the court for medical reasons and will be sentenced at a later date. 38 year old Diana Phambal of Norwich Court on Chavallier Street in Ipswich pleaded guilty to permitting a premises to be used for the preparation of cocaine and heroin. She received a six month jail sentence, suspended for six months. The three individuals were arrested on 20 January 2018 following an operation by the Urban Street Gang Unit - a team that tackles criminal activity and associated anti-social behaviour connected to groups of individuals known to each other in the Ipswich area, much of which is drug related. On January 20 plain-clothed police officers witnessed Laidley meeting up with associates in an alleyway next to Broomhill Park area of Ipswich with a drug /money exchange taken place. Lidley was then seen to be joined by Phambala before they both left on bicycles and rode back to a property on Norwich Court. Officers entered the property and arrested both Laidley and Phambala as well as Byamukama with a quantity of money and class A drugs found at the premises which was also seized. All three suspects were taken to Martlesham Police Investigation Centre where they were questioned and subsequently changed. Sgt Murray Osman from the Urban Street Gang Unit said: "It’s of great satisfaction to secure these convictions. With support from the public who provide us with intelligence about suspect activity in their communities, we will continue to focus our energies on disrupting drug production and supply activity. A total of seven people suspected of being involved in a London gang that runs a ‘county line’ drug dealing network to Suffolk were arrested in the early hours of Tuesday, 12 June in a series of Trident raids. Warrants were executed by Metropolitan Police officers at six addresses, including five in Newham, as part of the operation. Three men were arrested. As part of the same operation, one man and two women were arrested by Suffolk Police and one man was arrested by Essex Police. The individuals arrested, aged between 19 and 39 years old, were arrested for conspiracy to supply class A drugs. In addition to the arrests, a number of items were seized at the properties, including a stolen moped, a ten-inch hunting knife, a quantity of cannabis and a mobile phone believed to be the phone used for running the ‘county line’. More than 80 officers from a range of units across the Metropolitan Police took part in the operational activity, including officers from Trident Central Gangs Unit, Newham borough, Territorial Support Group [TSG] and local borough officers. Warrants were executed at the following addresses: Fendt Close, E16; Carew Road, N17; Firefly Gardens, E6; Trusedale Road, E6; Daines Close, E12; Bearing Walk, E16, Falcon Avenue, Grays; Bond Street, Ipswich and Main Road, Ipswich. The arrests were made as part of an intelligence-led, proactive operation targeting senior members of a gang in Newham believed to be responsible for a cocaine and heroin drug-dealing network from London to Suffolk. Chief Superintendent Richard Tucker, Commander of the Met’s North East Command Unit said: “This morning’s arrests demonstrate the commitment of the Metropolitan Police to reducing the level of violence in Newham and the wider East London area. Detective Inspector Jim McKee, of the Met’s Trident Central Gangs Unit, said: “Today’s cross-border operation with our colleagues in Suffolk to tackle violent crime and county lines operations has resulted in seven individuals being arrested. Policing Commander Supt. Kerry Cutler said: “We cannot tackle the issue of drugs in our communities alone. Drug addiction has a severe impact not only on the individual, but those closest to them, and the community as a whole. Put simply drugs can destroy lives. "Information can help us remove drugs and related violence and knife crime from our communities. If you want to help police do something about this please don’t be silent. Tell us who is dealing the drugs or carrying weapons. “If you know of suspicious activity taking place where you live please let us know and call us on the 101 number or Crimestoppers anonymously on 0800 555111. More than 200 wraps of Class A drugs were seized and six people were arrested in Haverhill yesterday, Thursday 3 May. Officers from the West Scorpion Team, the Neighbourhood Response Team and Safer Neighbourhood Team carried out a warrant under the Misuse of Drugs Act and discovered 228 wraps of heroin/crack cocaine in a property in Pipers Close. Two men, a 41 and 44-year-old, both from Haverhill, were arrested on suspicion of being concerned in the supply of a controlled drug. A 26-year-old woman from Haverhill was also arrested on suspicion of being concerned in the supply of a controlled drug. A further two people, a 15-year-old girl and a 16-year-old boy, were both arrested on suspicion of being concerned in the supply of a controlled drug. All six people were taken to Bury St Edmunds Police Investigation Centre for questioning where all currently remain in custody. Two people have been arrested and charged in connection with class A drug offences following an operation in the Lowestoft area. Officers entered and searched a flat on London Road South in the town on Wednesday 4 April as part of a pre-planned operation. On entering the property and following a search over 50 wraps of crack cocaine and heroin were recovered with an estimated street value of £19,000. Various items of drug paraphernalia were also recovered as well as mobile phones and two large knifes. A white envelope containing in the region of £3000 was also recovered. A 27 year old and a 43 year old were both arrested at the property on suspicion of money laundering and class A drug trafficking offences and taken to Great Yarmouth Police investigation Centre for questioning. 43 year old Imran Leo Kulasi of London Road South in Lowestoft was subsequently charged with one count of supplying cocaine, one count of possession of crack cocaine with intent to supply, one count of supplying diamorphine, one count of possession of diamorphine with intent to supply, one count of supplying three wraps of crack cocaine, one count of supplying five wraps of diamorphine and one count of possession/acquired or use of criminal property, namely a quantity of cash. 27 year old Lewis Lawrence of Bridge Road in Lowestoft was charged with one count of supplying cocaine, one count of supplying a quantity of diamorphine, possession of a quantity of crack cocaine with intent to supply, one count of possession of diamorphine with intent to supply and possession/acquired or use of criminal property, namely a quantity of cash. Both men were remanded to appear before Norwich Magistrates' Court today Thursday 5 April. A total of 100 wraps of Class A drugs were seized and three men were arrested in Leiston on Saturday 31 March. Officers from the East Scorpion Team carried out a warrant under the Misuse of Drugs Act and discovered 100 wraps of crack cocaine in a property in High Street. Three men – a 28, 41 and 49-year-old – all from Leiston, were subsequently arrested on suspicion of possession with intent to supply Class A drugs. All three men were taken to Martlesham Police Investigation Centre for questioning and were later released under investigation. Police in Suffolk have arrested seven people following a week of action targeting county line drug dealing. The clampdown on county drugs lines, which started on Monday 19 March was co-ordinated by the Eastern Region Special Operations Unit (ERSOU) and saw officers from Suffolk Police, along with the regional disruption team, the National Crime Agency, and other partner agencies from the eastern region carry out action across the county to disrupt offenders and safeguard vulnerable people. County lines is a term used to describe gangs, groups or drug networks that supply drugs from urban to suburban areas across the country, including market and coastal towns, using dedicated mobile phone lines or "deal lines”. Offenders exploit children and vulnerable adults to move the drugs and money to and from the urban area, and to store the drugs in local properties. The gangs will take over a property within a town, often belonging to someone who is vulnerable, in a process known as cuckooing and are also known to use intimidation, violence and weapons, including knives, corrosives and firearms. During the week officers carried out six warrants and made seven arrests. One man was arrested in connection with drug offences in Newmarket on Tuesday 20 March and taken to Bury St Edmunds Police Investigation Centre. Officers seized over 270 wraps of cocaine and heroin. 25 year old Jayden Ryan of Woolridge Way in London was subsequently charged possession with intent to supply Class A – crack cocaine, possession of a quantity of diamorphine and possession of an offensive weapon, namely a baseball bat. A red Ford Fiesta was stopped in Bury St Edmunds with a 26 year old arrested on suspicion of possession of three wraps of class A drugs and £600 cash and was taken to Bury St Edmunds PIC for questioning. Chad Stewart of Blenheim Road in London was charged with possession of a class A drug – heroin to appear before Ipswich Magistrates Court. Three men, aged 46, 44 and 42 were arrested following a warrant at a property on Anglian Place in Haverhill. The 46 year old, arrested on suspicion of supplying Class A drugs was bailed pending further enquiries, while the 44 year old and the 42 year old arrested on suspicion of possession of a controlled drug with intent to supply were both released under investigation. Finally in Oulton Broad, a 20 year old man was arrested on suspicion of money laundering, breach of bail and possession of an offensive weapon, while a 17 year old teenage girl with him was arrested on suspicion of possession an offensive weapon in a public place. Both were taken to Great Yarmouth Police Investigation Centre for questioning. Damien Laverick of Waterloo Road in Great Yarmouth was later charged with possession of a bladed weapon to appear before Norwich Magistrates. The 17 year old girl was released under investigation. ERSOU Detective Superintendent Bernie Morgan said: "We are determined that there will be no place to hide for those who bring harm to our region by exploiting people and pedalling dangerous, illegal substances. Anyone with information about illegal drugs activity should contact Suffolk Constabulary on 101; however, if you have information but want to stay anonymous you can also contact the charity Crimestoppers on 0800 555111. Police in Suffolk have arrested over 350 people in connection with the supply of class A drugs across the county during 2017. As well as the arrests over £70,000 and over 6,800 wraps of class A drugs have also been seized by officers across the county and 162 search warrants were also carried out. Under the banner of Velocity the force last year bought the three area operations of Volcanic (South), London (West) and Boulevard (East) under the one ‘umbrella’ to ensure an increase co-ordination of enforcement activity across the three areas. 371 arrests were made with the vast majority in the South (Ipswich area) with 210 made, and 109 of these by the Urban Street Gang Unit. This is a team dedicated to tackling criminal activity and associated anti-social behaviour (ASB) connected to groups of individuals known to each other in the Ipswich area, much of which is drug related. Another key strand of the on-going work is to identify those who are being exploited by their vulnerability, are taken advantage of and need help to escape the cycle of drugs through a multi-agency approach. County Policing Commander Chief Supt Jen Eves said: "These arrests and seizures are all about us responding to offences linked to illegal drugs activity in the county. This is something we simply won’t tolerate. "We will continue to pursue, disrupt and arrest those people bringing criminality or anti-social behaviour to the streets of Ipswich, as well as constantly gathering intelligence that members of the public provide and for which we are grateful for. Ipswich Commander Supt Kerry Cutler said: "These figures clearly demonstrate that our officers and staff are working hard to make an impact. It is not just about enforcement – police and other partners need to educate and support those people who have found themselves in a vulnerable situation and want to make positive changes to their lives. "We cannot tackle the issue of drugs in our communities alone. Drug addiction has a severe impact not only on the individual, but those closest to them, and the community as a whole. Suffolk PCC Tim Passmore said: "I went out with the Urban Street Gang Unit back in August as an observer and was extremely impressed by the fantastic work that is being carried out by the Constabulary to combat the drug issue in our county. "I was absolutely shocked to see three young boys, the youngest was aged about 14, stopped with Class A drugs in Ipswich in the middle of the afternoon. I find it extremely sad to see how vulnerable young people are being dragged into this dark and sinister world. A week of action to disrupt drug gangs operating across the eastern region has resulted in more than 80 people being arrested and Class A drugs worth more than £26,000 seized. The clampdown on county drugs lines, which started on Monday (19 March) was co-ordinated by the Eastern Region Special Operations Unit (ERSOU) and saw officers from seven forces, along with the regional disruption team, the National Crime Agency, and other partner agencies from the eastern region carry out action in several towns to disrupt offenders and safeguard vulnerable people. County lines is a term used to describe gangs, groups or drug networks that supply drugs from urban to suburban areas across the country, including market and coastal towns, using dedicated mobile phone lines or ‘deal lines’. Offenders exploit children and vulnerable adults in order to move the drugs and money to and from the urban area, and to store the drugs in local properties. During the week of action, the collective response across the eastern region saw 31 warrants carried out, 82 arrests made, 13 weapons seized, and Class A drugs with an estimated street value of £26,000 and more than £40,000 in cash recovered. Almost 1,000 wraps of Class A drugs were also found, and officers across the region conducted welfare visits and safeguarding checks for a number of vulnerable people. ERSOU Detective Superintendent Bernie Morgan said: “We are determined that there will be no place to hide for those who bring harm to our region by exploiting people and pedalling dangerous, illegal substances. A 23-year-old man has been jailed for over five years after being convicted of Class A drugs offences in Newmarket. Ayodele Adeleke appeared at Ipswich Crown Court last Wednesday, 7 February, where he pleaded guilty to the following three offences: possession of heroin with intent to supply; possession of crack cocaine with intent to supply; and acquiring or using criminal property, namely money. He was sentenced to five years and six months’ imprisonment. The charges relate to an incident on Tuesday 9 January 2018 at an address in High Street, Newmarket. Adeleke was wanted on recall to prison and police had received information that he was staying at this location. On arrival, officers were required to force their way in after Adeleke denied them entry and tried to hold the door closed. Once inside police discovered 51 wraps of heroin, 35 wraps of cocaine, cash totalling £690, and two mobile phones which had been snapped in half. Adeleke was arrested and taken into police custody and subsequently charged with the offences detailed above. Sgt Mel Leaman, of Newmarket Safer Neighbourhood Team, said: “I am extremely pleased with the sentence that Adeleke has been given, which I hope sends out a strong message to drug dealers that they face a significant spell in prison if caught and convicted. A 24-year-old man from Lowestoft has been jailed for 38 months for Class A and B drugs offences. Toby Crossman of Beaconsfield Road, Lowestoft, appeared at Ipswich Crown Court on Wednesday 7 February where he pleaded guilty to the following three charges: possession with intent to supply heroin; possession with intent to supply cocaine and possession of cannabis. Crossman was arrested on 8 November 2017 after officers from the pro-active Scorpion Team executed a warrant at an address in Lowestoft under the Misuse of Drugs Act. As a result of the warrant more than thirty drug wraps were found, while cash and two mobile phones were seized. PC Jade Daly of the Scorpion East team said: "This is a great result achieved by intelligence-led policing. "This sentence is a warning to anyone involved in dealing drugs within the county that we are committed to tackling drugs supply and associated activities. A week of action to tackle the supply of drugs in Ipswich saw over 20 people arrested and a quantity of Class A drugs, cash and vehicles being seized. The operation which took place last week followed a previous one carried-out in July, both of which were designed to disrupt and tackle drugs offences and violent and acquisitive crime linked to drugs. Many recent attacks and robberies in the town are believed to have their roots in disputes over the supply of drugs. Teams of police officers and staff have been working on the operation, developing information and intelligence to target those suspected of being involved in the supply of drugs in the town and associated criminality. A wide range of tactics were used to disrupt their activity including warrants, road checks and surveillance. Automatic Number Plate Recognition cameras were also used to target drivers suspected of offences linked to drugs and crime. When combining the figures from the previous week of action in July and last week’s operation, a total of 82 people have been arrested, 13 vehicles seized and 46 traffic offence reports issued. Detective Superintendent Steve Mattin, who oversaw the operation, said: "Following the success of the previous week of action in July, we wanted to build on this work and continue our efforts to disrupt and deter the sale of drugs in Ipswich. A total of 21 people were arrested last week, 13 of whom have been charged to date, and two vehicles were seized. Francis Snell, aged 29, of Jasmine Close, Ipswich. Charged with supplying heroin. To appear at crown court on a date and time to be fixed. Luke Townsend, aged 21, of Grebe Close, Ipswich, Charged with supplying heroin. To appear at crown court on a date and time to be fixed. Daniel Davidson, aged 31, of Dumfries Road, Ipswich. Charged with supplying heroin. To appear at crown court on Thursday 19 October. Lee Brame, aged 43, of Parnell Road, Ipswich. Charged with supplying heroin. To appear at crown court on Thursday 19 October. Mark McCullum, aged 53, of Berners Street, Ipswich. He was charged with two counts of supplying heroin. To appear at crown court on a date and time to be fixed. John Moir, aged 50, of no fixed abode. He was charged with two counts of supplying heroin. To appear at crown court on a date and time to be fixed. Daniel Horner, aged 34, of no fixed abode. Charged with supplying heroin. To appear at crown court on Thursday 19 October. Michael Beasely, aged 33, of no fixed abode. Charged with one count of being concerned in the supply of heroin, and three counts of supplying heroin. To appear at crown court on Thursday 19 October. Connie Mayo, aged 25, of no fixed abode. Charged with two counts of supplying heroin. To appear at crown court on Thursday 19 October. A 16-year-old boy from Newham in east London was charged with the following three offences: possession of heroin with intent to supply; possession of cocaine with intent to supply; and possession of a knife in a public place. He appeared before Ipswich Magistrates’ Court on Thursday 21 September, where he was remanded into youth detention pending an appearance at Highbury Corner Magistrates’ Court on Monday 9 October. Donna Chambers, aged 26, of Maidenhall Approach, Ipswich. Charged with two counts of supplying heroin and bailed to appear before magistrates on Tuesday 3 October. Joshua Mison, aged 24, of London Road, Ipswich. Charged with possession of cannabis and bailed to appear before magistrates on Monday 9 October. Paul Rosher, aged 42, of Peterhouse Close, Ipswich. Charged with supplying heroin and bailed to appear before magistrates on Monday 23 October. A 17-year-old boy from Ipswich arrested on suspicion of being concerned in the supply of Class A drugs. Two 21-year-old men from the Barnet area of north London, arrested on suspicion of being concerned in the supply of a controlled drug & money laundering. An 18-year-old woman from Bury St Edmunds; and a 37-year-old man from Ipswich; both arrested on suspicion of drug-driving. A 21-year-old man from the Redbridge area of north-east London, arrested on suspicion of obstructing a constable in execution of their duty. A 29-year-old man from Ipswich, arrested on suspicion of drug-driving. A week of action to tackle drugs supply in Ipswich has seen more than 50 arrests being made, a quantity of class A drugs seized and a number of road traffic offences being dealt with. Teams of Suffolk police officers and staff have been working on the operation to target those suspected of involvement in the supply of drugs in the town and associated criminality. The operation was designed to disrupt and tackle both drugs offences and violent and acquisitive crime linked to drugs, as many recent attacks and robberies in the town are believed to have their roots in disputes over drug supply. The work saw a wide range of tactics being used to disrupt those involved in crime – including warrants, road checks and behind the scenes work. On Monday (10 July 2017) police made 20 arrests after carrying out warrants at addresses in the town. Eleven people were charged with supplying class A drugs offences and appeared before magistrates on Tuesday morning, 4 July. Ten of the 11 charged for court were remanded in custody and all 11 are now due to appear at Ipswich Crown Court on August 1. A 22-year-old man arrested at Downside Close in Ipswich on suspicion of being concerned in the supply of class A drugs has been released under investigation pending further enquiries. A quantity of compressed heroin was seized at the address. A 38-year-old man arrested at Woodbridge Road was charged with possession of heroin and possession of crack cocaine and is now due to appear at Ipswich Magistrates Court on 25 July. A 25-year-old man arrested on suspicion of drug driving has been released under investigation for driving and possession of controlled drug offences. A 44-year-old man arrested on suspicion of drink-driving after his vehicle was stopped in Fore Street has been charged with driving with 94 microgrammes of alcohol in 100 millilitres of breath and is now due to appear at Ipswich Magistrates Court on July 24. A 31-year-old woman detained for a drugs search following a warrant at Ranelagh Road was arrested on suspicion of possession of a class A drug and was subsequently charged with possession of heroin and detained for court on a fail to appear warrant. A 34-year-old man arrested on suspicion of drug driving has been released under investigation, a 30-year-old woman was arrested at Samuel Court on a prison recall, a 29-year-old man was charged with possession of cannabis, and a 46-year-old man faces no further action after being arrested on suspicion of drug driving. On Tuesday thirteen people – nine men and four women - were arrested for a variety of offences. Six were arrested for conspiracy to supply class A drugs, while the other six were detained for offences including being concerned in the supply of class A drugs, taking a motor vehicle without consent, drug driving, driving whilst disqualified and possession of a bladed article. Three of the six charged with conspiracy to supply were remanded in custody and they are now also due to appear at Ipswich Crown Court on August 1. On Wednesday there were nine arrests – five people; three men, a teenage boy and a woman, for conspiracy to supply drugs offences and four others including two, a man and a woman, for being concerned in the supply of controlled drugs and Proceeds of Crime Act offences, one for breaching a Serious Crime Prevention Order and another man for theft of motor vehicle and possession of a bladed weapon offences. Five further arrests were made on Thursday - including one man for drug driving, possession of a knuckle duster and possession of cannabis – three more were made on Friday, including a 20-year-old man who was charged with conspiracy to supply crack cocaine and two counts of supplying cocaine who has also been remanded in custody to appear before Ipswich Crown Court on August 1, and a 15-year-old boy was arrested on Saturday, 8 July, on suspicion of possession of cannabis with intent to supply – taking the overall total for the week to 51 arrests. During the week Automatic Number Plate Recognition cameras were also used to target drivers suspected of offences linked to drugs and crime. Four vehicles were seized on Monday, with three people detained after positive breath tests, one street warning being given for cannabis, three vehicles being stopped and dealt with for being overweight/ in a dangerous condition/ failing to keep large good vehicle records, and nine traffic offence reports being issued for offences including driving while using a mobile phone and driving with no licence. On Tuesday two vehicles were seized and 23 traffic offence reports were made, while on Wednesday one vehicle was seized and individuals were dealt with for speeding, careless driving and having no MoT offences. Thursday saw a further four vehicles being seized and drivers being dealt with for mobile phone, speeding and seatbelt offences. Detective Superintendent Steve Mattin who oversaw the week of activity said; "We have over 50 arrests over the past week as a result of work that has been carried out to identify those believed to be involved in the supply of drugs into Ipswich. Many of those arrested have been remanded in custody pending further court hearings, while others will appear at court over the next few weeks. There has been a considerable amount of work to gather evidence and put the operation in place, and to carry it out, with teams of officers out to make searches, arrests and to follow up in local communities afterwards, and to interview those brought into custody. After the warrants, officers carried out follow up work talking to residents in the areas that had been targeted and delivered 250 packs to households with crime prevention information and advice. Acting Superintendent Simon Mills, who oversees policing in Ipswich, said; "We have carried out a substantial amount of work over recent months to deal with the issues around drugs and the links to violent and acquisitive crime such as robberies and burglaries. However this is not going to be solved by police alone. We continue to work with partner agencies to encourage early education to safeguard young people and more involvement by health to prevent addiction and reduce demand. With over 2,500 arrests made in connection with drug related crime over the past two and half years Suffolk Constabulary is bringing the county’s three area drug operations under the one banner. It comes after a week of action held last week to tackle drug dealing with over 50 arrests made following a series of raids in Ipswich to tackle drug supply in the town. The force is bringing the three area operations of Volcanic (South), London (West) and Boulevard (East) under the one ‘umbrella’ of Velocity. Velocity will see a continuation of the co-ordinated enforcement activity across the three areas and supporting the vulnerable and young people who are exploited and harmed. The objectives will remain the same – to identify dealers of drugs in the towns and the surrounding areas of Suffolk and disrupt and dismantle their activity, to identify those who are being exploited by their vulnerability, continue to work in partnership with other agencies and gain sufficient intelligence and evidence so those responsible are bought to justice and convicted. The force wants to ensure the county remains a hostile environment for those involved in the supply of drugs and provide reassurance to Suffolk residents. The intention is to bring fresh momentum and impetus in tackling drug related crime and supporting those who are exploited. Through the combined energy and drive of police and associated partners the aim will be to bring further success in reducing drug crime and protecting the vulnerable. County Policing Commander for Suffolk Chief Supt. Jenny Eves said: "Velocity is a natural extension of the successes we have achieved so far, and I thank everyone who has been involved in securing the positive results we have achieved to date over recent years. We have done, and continue to do, a great job in tackling the issue of drug related crime and we have plenty of positive results to show for it. "The Volcanic (South), London (West) and Boulevard (East) have undoubtedly had an impact the years they have been running but we mustn’t rest on our laurels. Under Velocity I know this great work will continue. Moving to a county-wide name for our drug operations is natural progression to our on-going work to tackle drug activity in the county. Much of the work will tie in with the activity that has taken place under Operation Woven in Ipswich since March. This operation has seen over 100 arrests made in deterring and disrupting crime and anti-social behaviour that is connected to groups of individuals known to each other, much of which is drug related. Under Velocity police enforcement operations will continue in local towns across the county, led by local Superintendents. Intelligence and information received from the local community remains equally as important with residents urged to continue to report any suspicious activity. They should be reassured that any information given is treated seriously and in confidence. Chief Supt Eves added: "Our local communities have an important role to play in this too, helping us to identify vulnerable people. Don’t turn a blind eye. Talk to us about your concerns and we will work together to resolve the issue. "The intention is to continue to work with our partners to focus on those who are most affected in our communities. We will ensure those vulnerable members of the community are provided the right support and help should they wish to come forward with information. Police and Crime Commissioner Tim Passmore said: "I really welcome this further initiative for catching and prosecuting the criminal gangs who trade illegal drugs in Suffolk. The damage illegal drugs causes to individuals and whole communities can be absolutely devastating and shocking. "That’s why I am committed to do everything possible to improve education about drugs for young people in particular and helping individuals overcome their addiction. Anyone with information should contact Suffolk Police on 101 or call Crimestoppers anonymously on 0800 555111. Four men and one woman have been sentenced for drug dealing offences in Suffolk. The group all faced Ipswich Crown Court yesterday (7 September) and follows a series of arrests made in early July as part of a crackdown in the Ipswich area to tackle drugs supply in the town. Teams of Suffolk police officers and staff worked on the operation to target those suspected of involvement in the supply of drugs in the town and associated criminality. 26 year old Christopher Hubert of Hartley Street in Ipswich pleaded guilty at an earlier hearing to supplying class A drugs and received a three year jail sentence. 18 year old Kasparas Sadauskas of St Helen’s Street in Ipswich pleaded guilty to conspiring to supply class A drugs and was sentenced to four years’ detention in a young offenders’ institution. 34 year old Marcelino Vieira of no fixed abode pleaded guilty supplying cocaine and was given a 21 month prison sentence suspended for two years and ordered to do 200 hours unpaid work. 36 year old Kerry Samain from Grebe Close in Ipswich pleaded guilty being concerned in the supply of Class A drugs and was given a 16 month prison sentence suspended for two years. Det Supt Steve Mattin said: "This operation has prevented thousands of pounds worth of Class A drugs getting onto the streets of Suffolk. We will continue to work hard in identifying and bringing to justice those intent on committing drug related crime in our county and in doing so protecting the vulnerable and our communities. "This investigation demonstrates the excellent way in which different teams across the constabulary and other police forces are working together to support our campaign to target and disrupt the transportation and dealing of drugs in and out of the county. Police are always keen to receive intelligence and information received from the community and residents should be reassured that any information given is treated seriously and in confidence. Anyone with information about illegal drugs activity should contact Suffolk Constabulary on 101; however, if you have information but want to stay anonymous you can also contact independent charity Crimestoppers on 0800 555111. A 45-year-old man has been jailed for five years and eight months after pleading guilty to Class A drugs offences in Lowestoft. Jason Grimes, of Whapload Road in the town, was arrested on Wednesday 28 June after being kept under a month-long surveillance operation by Suffolk officers from the East Scorpion pro-active team, following information of drug activity in the vicinity of his home. Several drug exchanges were observed by officers between Tuesday 30 May and Tuesday 27 June and Grimes was taken into custody and subsequently charged with three counts of being concerned in the supply of heroin. He appeared at Ipswich Crown Court on Thursday 27 July where he pleaded guilty to all three offences. Grimes returned to the same court on Monday, 25 September, where he was sentenced to five years and eight months’ imprisonment. PC Alexander Haverson, of the East Scorpion Team based in Lowestoft, said: "We are committed to tackling the supply of class A drugs into the town and will continue to act upon the intelligence that members of the public give us to help remove drugs from our communities. "We know the harm class A drugs such as heroin and cocaine can cause, both to individuals and communities, and drug use can fuel other crime if addicts commit offences to fund their habits so we will always look to take action against those who are involved in the supply chain. "This was a detailed investigation and I’m proud of the team who were dedicated, often working extended shifts, to capture Grimes’ criminality that led to securing this positive result.